When you need oral surgery, it’s nice to see a dentist you know and trust. Dr. Abdallahi Sidi El Moctar is an expert oral surgeon at Dental Studio at Rosslyn in Arlington, Virginia. If you’re looking for a convenient, metro-accessible dental practice that provides in-house oral surgery, call or book an appointment online today. Oral surgery is any surgical procedure that involves your teeth and mouth. 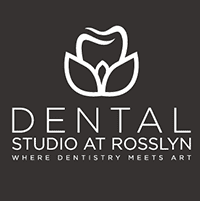 While many dental practices refer you to a separate oral surgeon for these procedures, Dental Studio at Rosslyn proudly offers on-site oral surgery. This means you have to travel less and can benefit from expert surgical treatment in a familiar, state-of-the-art facility. Why would I need wisdom tooth surgery? Wisdom teeth removal is one of the most common tooth extraction procedures. Your wisdom teeth are the last set of molars to develop. Occasionally, wisdom teeth grow in without a problem, but this isn’t usually the case. More often, wisdom teeth fail to emerge in proper alignment due to overcrowding, or they don’t emerge at all. Wisdom teeth frequently become trapped beneath the gum line, which is to say they're impacted. If your wisdom teeth are impacted, the team at Dental Studio at Rosslyn may use oral surgery to remove them safely. If you had a tooth extracted or are otherwise missing one or more teeth, dental implants are an excellent option for permanent restoration. Dr. El Moctar is a dental implant specialist who uses high-quality BioHorizons® implants. This procedure is a two-step process that replaces the root and crown of your tooth. First, Dr. El Moctar surgically inserts a small titanium rod into your jawbone. The rod fuses with the bone, forming a stable and robust root replacement. After you heal, he places a custom-made dental crown on top of the implant. Dental implants restore function and aesthetic appeal to your healthy smile and protect your jaw from bone deterioration. If you’re looking for an expert oral surgeon, call Dental Studio at Rosslyn or book an appointment online.